Why Start a Career in Medical Coding? Next to treatment, medical coding in hospitals and clinics is the keystone of the healthcare system. It meticulously documents the medical procedures to make sure they comply with the insurers’ exhaustively detailed requirements in order for the hospitals and physician’s groups to receive their deserved compensation. Simply put, without fast and accurate coding, no one gets paid in a timely manner. And in a healthcare system where demands for improved care conflict with rising costs to deliver that care, cash flow is the lifeblood of any medical facility. Just as important as the financial relevance of coding is its contribution to the quality of healthcare. Medical coding serves as a digital journal of the care and procedures performed, so they can be analyzed, replicated or modified to achieve the best and most cost-effective healthcare. Medical coding is literally what makes the healthcare world go around. As medical procedures and technologies improve and become more complex, coding has necessarily become more granular. For instance, the recent transition from ICD-9 to ICD-10 has increased the number of codes from roughly 4,000 to 14,000. (ICD-10 is the 10th revision of the International Statistical Classification of Diseases and Related Health Problems (ICD), a medical classification list by the World Health Organization (WHO). ICD-10 has depleted the coder pool in this country. Coding departments in hospitals as well as outside coding resources are desperately trying to find, recruit and train coders. It’s unlikely the coder backlog will be filled anytime in the foreseeable future, so the stable demand and very respectable compensation form a very attractive career to enter. Plus, the options of working at home and flexible hours make medical coding a compelling lifestyle choice. First, you’ve got to have a high-school diploma with, preferably, classes in math, chemistry, biology, and keyboard and computer skills. Such studies are akin to the information you’ll be translating, quantifying and transcribing into digital records. Next, you’ll need a minimum of an associate’s degree from a college or university with accreditation from the Commission on Accreditation for Health Informatics and Information Management Education (CAHIIM) or the American Health Information Management Association (AHIMA). Concentrate on courses involving health information technology but also study human anatomy and physiology. Employers of medical coders want to know you’ve been trained and certified in the fundamentals so if hired you can become productive as soon as possible. Your gateway credential is as a Registered Health Information Technician (RHIT) administered by AHIMA. You’ll find detailed information on the process and requirements to obtain your RHIT on the AHIMA website. Because healthcare is becoming increasingly specialized, it may be prudent to focus your coding interest and experience in specialized fields such as orthopedics. The Board of Medical Specialty Coding (BMSC) and the Professional Association of Healthcare Coding Specialists (PAHCS) offer coding specialty credentials. By joining either organization you’d have access to their certification exam procedures. The healthcare industry’s record keeping and transcribing technologies and their continually evolving software as well as the exponentially greater number of granular codes all require continuing education. You will need to make the effort to stay current. In fact, it may be mandatory for your continuing accreditation. So look for continuing education classes at local colleges. Get job experience. The more the better. 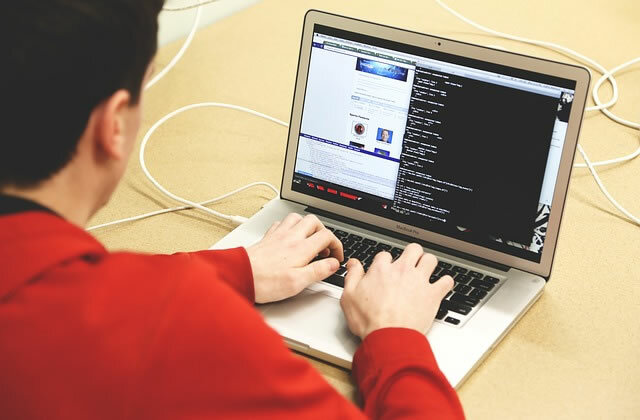 On-the-job coding experience greatly enhances your chances of getting your first real coding. In fact, some work experience may be necessary to obtain and maintain your credential. So consider any medical setting where you can “apprentice” to build your coding skills and confidence—hospital, clinic, physician group, dentist’s office. Some facilities generously offer on-the-job training. Take advantage of it. Because medical coding rules, regulations, codes and compliance requirements are continuously evolving, so must you. Be aware of industry shifts and be prepared to apply for recertification to maintain your well-earned credentials. If you’re the right fit for medical coding, it offers a lucrative, flexible, satisfying career in an important and growing industry. But it does involve paying your dues up front and continually throughout your career in order for you to possess the assets to deliver maximum productivity to your employer, who’s counting on your coding speed and accuracy. Bill Wagner works as vice president of operations for KIWI-TEK, a 12-year-old outsourced coding resource that helps physicians and medical facilities around the U.S. Bill Wagner is responsible for the company’s domestic and offshore coder recruitment.